With the rapid advancement of technology nowadays, for almost every basic tasks at home, at work or at our business, we use computers. We use them for word processing, records and finances management and communications. The convenience and easy-to-use advantage that computers give us help us do more tasks in a minimal period of time. Like any other devices or appliances, your computer may encounter problems in the long run. Computers also need proper maintenance and care. Problems in your computer occur without you noticing it in the first few days. But, as you use your computer, you may begin to realize that something is up but you don’t know what it is. PC Repairs Northlakes has the following list of PC Services that you might need now and in the near future. Are you venturing to a new business? Or do you need a personal computer for house use? Or your work requires you to have a computer? Setting up a computer is a simple but very tricky task. You can’t simply choose parts if you are not very familiar with them. Compatibility issues arise if you don’t carefully choose your computer components. PC Repairs Northlakes can lend a hand in building your new PC. Our technicians can do the choosing and the building for you. All you need to do is tell us the specifications that you want for your computer. Is it a PC for house use only? Do you want a gaming PC? Or a PC for your business? Any kind of PC setup can be done by our professional technicians. You may be thinking that it’ll be easier to just buy a readily built computer. For convenience that might be a practical thinking however, a more customized and personalized computer is way better than those readily packed. Your personalized computer will totally fit your needs. During the time of your work with your computer or even when you’re away and your computer is not in use, there are endless possible things that may cause trouble to your computer. From slow PC performance to PC not booting up at all, these problems greatly affect our unfinished tasks. Here at PC Repairs Northlakes, we provide thorough and careful PC Health Check for any brand of computer. We’ll help you know what’s going on in your computer and we’ll find out what caused the problem. From the tiniest part to major part of your computer, we’ll run a diagnostic test. PC Health Check is also advised to be performed periodically even for computers that run smoothly. This is done to ensure that your computer is in good shape and to avoid future problems. A proper maintenance will be provided by our technicians to your computer and they’ll make sure that they won’t miss any problem in your computer. Your computer is not complete without an operating system and other useful software. Almost everybody uses their computer for word processing, organization, watching videos, keeping photos, listening to music and communications. These data, however, are sometimes not compatible with your current software. Sometimes you need to install a specific software to open a particular data or to finish your task. A very good example of this is Microsoft Office which is widely used for office and business work. Other useful software such as Video and Music Players, Internet Browser and Anti-Virus programs are essentials to your daily work. 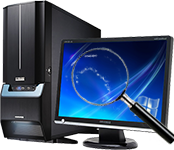 PC Repairs Northlakes can help you install any software that you might need. We can also help you repair a certain software if it’s not working properly. Our technicians have broad knowledge of these components so rest assured that your problems will be solved. After a thorough PC Health Check up, we might come across various problems with your PC. A common problem might be detected from your hardware. PC Repairs Northlakes provides repair services for faulty hardware components of your computer. We have the most reliable and experienced technicians to fix your computer. These common hardware problems include: (1) Monitor not working, (2) Overheating, (3) RAM/Memory not detected or needs upgrade, (4) Hard Disk Drive failure, (5) Power Supply failure, (7) CPU failure, (8) Disc Reader not working, (9) Network Adapter not working and (10) Connected devices such as, mice, keyboards and web cameras are not detected by your computer. If you ever experience the above or anything odd about your computer’s performance, it is best to call for certified technicians so they can fix it as soon as possible. Faulty hardware components that are not immediately fixed may cause a bigger problem. 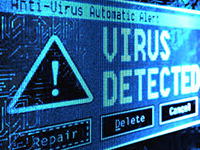 Our computers are highly at risk because of Virus or Malware Infection. To know more about the causes of this infection, you can check our post about it here. You’ll learn from that article the common events that causes your computer to be infected by spyware or malware. PC Repairs Northlakes can provide you an effective virus removal service plus tips on how to stay protected. They can get rid of the infectious software in your system completely. Our technicians have been doing these services for years now and we guarantee you that they’ll definitely give your computer back Virus-free. Does your computer look a bit dusty? You probably need an overall clean up for it! Dust can also be a cause of computer problem. Some of your hardware components might get a little rusty if not kept clean. We suggest that you give your computer a regular clean up. PC Clean Up doesn’t always mean literally cleaning your hardware parts. It also means software clean up. There might be unwanted files/data in your computer that we can clean up and get rid of to boost your computer’s performance. 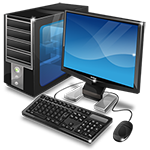 PC Repairs Northlakes offers both software and hardware clean up.